JSEIS follows the double blind peer review process. Author(s) will submit the manuscript to Editor-in-Chief (EIC). EIC will assign an Editor. Editor will assign the suitable reviewers for the manuscript. Reviewers will send thier comments to Editor. 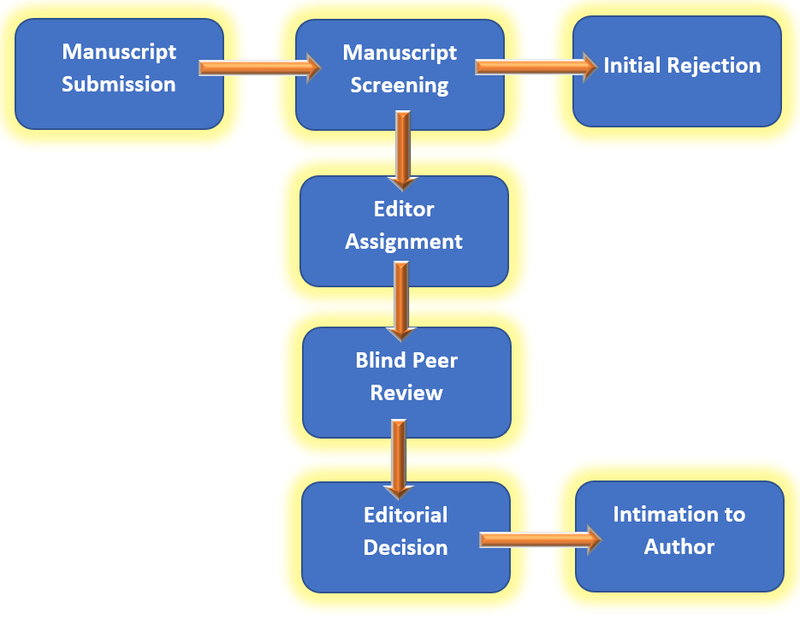 Editor will send the reviewers' comments back to Editor-in-Chief with possible decision. Editor-in-Chief will send the comments to authors for corrections. Authors will make corrections as per comments of the reviewers and will submit again. Based on the corrections and imporovements Editor-in-Chief will take the final decision. After initial assessment the submittted manuscripts are gone through a rigorous double blind peer review process in order to maintain the excellent academic standards. The identities of the reviewers and authors will be anonymous for each other. The submissions not conforming to the standards due to ethical issues are sent to advisory board for advice and future action. JSEIS publishes only original research i.e. a research that has never been published at any local or international forum. Moreover, it has not been submitted for review elsewhere. JSEIS crosschecks the manuscripts for any plagiarized material in order to keep the integriy of the published contents upto mark. If a manuscript is found plagiarized then the palgiarism penalty/penalties will be employed in full zest and the concerned academic or research centre will be informed duly. JSEIS recommends that author should not submit a manuscript if it has already been submitted at some other forum. In case a research is based on some previous research then authors must cite their previous work with a possible indication of sufficient research contribution in the submitted manuscript. Moreover, there should not be citation manipulation in order to elevate the number of citations based on requests by some authors. Hence, an appropriate action will be taken against such cases as mentioned in the penalty section. Results or data gathered related to experimentation must be the true reflection of the original experimentation. In case of fabrication or falsfication of the results the pnalties related to data fabrication or falsification will be imposed. There must be significant contribution by all authors who will be involved in a research. In case if other researchers will claim their contribution in the same research then appropriate action will be taken and penalty related to misleading information will be imposed. Any conflict of interest also called as competing interest must be reported within due course of time. The conflict or conflicts reported at any later stage will result in rejection of the manuscript. The conflicts may be related to funding, affiliations, ideology, acamdemic, personal or intellectual property. Hence, its responsibility of author or authors to mention all conflicts well before time. Have a shared affiliation with any author in any submission. Have a research collaboration with any of the author. Have personal relations with any of the authors. Have previously discussed or seen the submission with some interest. In case a submission is found to be violating any of the publication policies of the JSEIS, the following penalties will be imposed by the journal. An abrupt rejection of the manuscript. All authors will be blacklisted if a manuscript will be plagiarised or has published in another journal. The authors will not be allowed to publish approximately for a minimum period of 5 years. Authors from Editorial Board / Reviewers will also be blacklisted if a submission is found as plagiarised or duplicate submission. The names of the editors will be removed immediately from the editorial board and technical committee. All manuscripts will be quicly removed from JSEIS if a similar research will be published at any other forum. In order to further strengthen the research quality the concerned academic and research centres, of the authors, will also be informed about the cases accordinlgy. Additional penalties may be imposed by the editorial team based on the severity of the violations. All accepted manuscripts in JSEIS are published under a fully open access policy. The manuscripts will be freely available to download, read and share for the intended audience. JSEIS publishes all manuscripts under Creative Commons Attribution NonCommercial 4.0 International License cc by-nc.